Country music’s only fan-voted awards show, the 2009 CMT MUSIC AWARDS, will premiere LIVE on Tuesday, June 16 at 8:00 p.m., ET/PT on CMT and CMT.com, and includes performances by Trace Adkins, Jason Aldean, Dierks Bentley, Toby Keith, Brad Paisley, Rascal Flatts, Sugarland, Taylor Swift, Keith Urban and British rockers Def Leppard. Fans can now vote online at CMT.com through Sunday, June 14 to determine the night’s winners. The final nominees for VIDEO OF THE YEAR will be announced at the beginning of the live show and fans can vote at CMT.com and via text on their Verizon Wireless phones throughout the live broadcast (ET/CT only) to determine the night’s big winner. 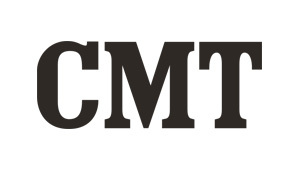 *EDITORS PLEASE NOTE: The 2009 CMT MUSIC AWARDS will now premiere LIVE on Tuesday, June 16 at 8:00 PM, Eastern and 7:00 PM, Central; and at 9:00 PM, Mountain and 8:00 PM, Pacific (tape delayed).